Bristol, UK. (January 15, 2019) – Yankee Candle is pleased to announce the first ever Scent of the Year. The company has expanded its annual trend prediction process to identify one resonating theme and a single fragrance that defines 2019. This theme was then translated into the fragrance name: One Together. 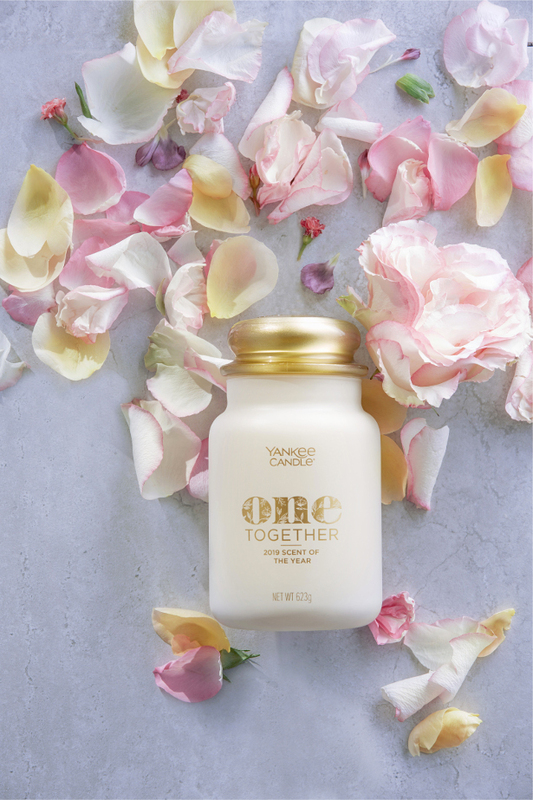 One Together recreates the fragrance of the Miracle Flower, a scent never before used at Yankee Candle. This luscious floral wrapped with soft woods, suede, and amber is combined with mandarin, nectarine, and sandalwood. The resulting fragrance is beautifully nuanced, harmonious, and all together intoxicating. “Our goal is to create scents that transform a home into a place where you can relax, be yourself and provide a warm welcome for your loved ones. In collaboration with trend, fashion and fragrance experts, we developed a singular scent to inspire you throughout the coming year,” said Whitton. One Together is available in a Large 2-wick Tumbler and Large Classic Jar Candle for £25.99 (GBP RRP) €31.90 (Euro RRP) at Yankee Candle retail locations, at www.YankeeCandle.co.uk and other selected retailers including QVCuk.com while supplies last. The next Scent of the Year candle won’t be revealed until 2020. To learn more about the candle, visit www.yankeecandle.co.uk or visit the brand’s Instagram (@YankeeCandleeu), Pinterest (YankeeCandleInt), Facebook at facebook.com/theyankeecandlecompanyuk or on Twitter (@theyankeecandleeu). Join the conversation using #SOTY2019.